A ton of horn and bases!!!! 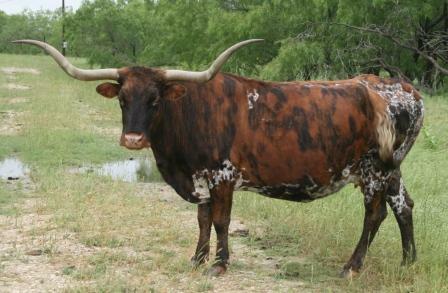 He’s a unique, long horned steer. You can see how is head has adapted so he can eat and see. He was born on 1/2/09. He’s got have a whole lot of horn! This guy has a great pedigree. 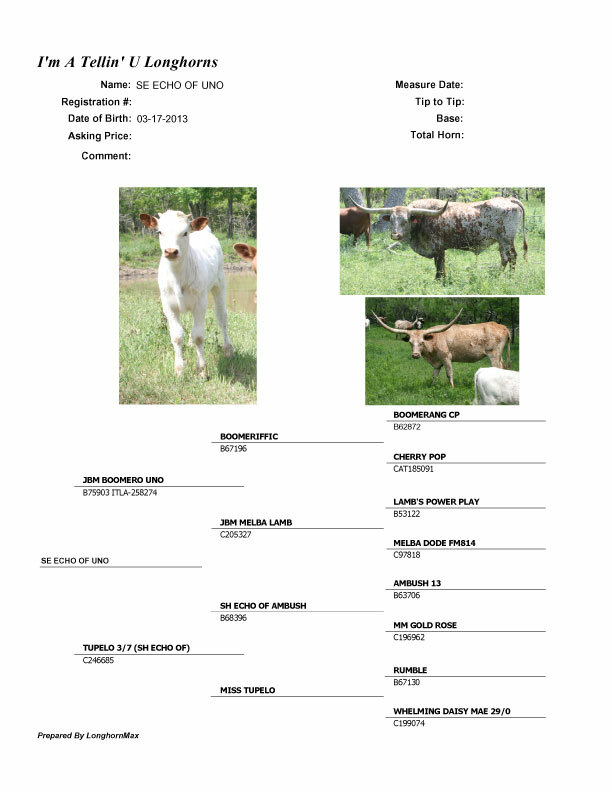 It’s hard to sell a white bull, so we made him a steer. 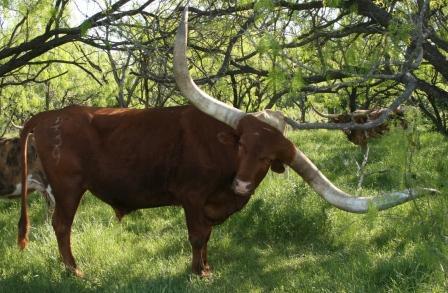 He already has awesome horns that are sure to grow, and grow and grow…. 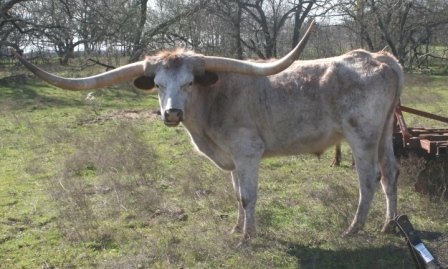 Horns: 51.25” tip to tip; 54.75” total with 12” bases on 12/4/14 - at 21 months old!